The 2017 IIHF Ice Hockey Women’s World Championship Division II Group B Qualification starts on Monday in Taipei City. The host Chinese Taipei will make its debut in the competition and the other participating countries are Belgium, Bulgaria, Hong Kong and South Africa. One player to watch at the Annex Ice Rink is Bulgarian forward Amalia Koleva. Koleva scored the most goals (3) for her national team a year ago when the qualification was held in Sofia and this was her best showing on the international stage. Well, not really. It’s better to say “on international ice” because she has over 80 (eighty) medals from World and European Championships in Taekwon-Do (ITF) since 2001. In 2016 Koleva won the European title in power test and silver medal in the team sparring competition in Thessaloniki. The 36-years-old athlete has a collection of 4 World (individual sparring under 57 kg in 2009, team special technique in 2011, team sparring in 2013 and individual power test in 2015) and 15 European titles. On top of that she has two more bronze medals from the 2013 WAKO World Championships in kickboxing – kick light and light contact under 55 kg. And she competed successfully in savate (French boxing) and muay thai (the combat sport of Thailand). At one time she was on the Bulgarian national team in four different sports – taekwon-do (ITF), ice hockey, kickboxing and savate. “Since this year I have concentrated only at taekwondo and hockey, but my schedule is so busy as before,” says Koleva, who is an international instructor and is working with 40-45 kids in three different groups. Some of them are following into her steps practising a second sport, although not ice hockey. “I was lucky with my discovery of ice hockey, because I had some kind of background after practising figure skating as a kid. Everything happened by chance. Eight years ago, during a free skate, I was approached by Tina Lisichkova. At that time she was the captain of the Bulgarian national women’s team and was looking for new players,” recalls Koleva. After one month she was playing international games. The beginning was quite difficult with nightmarish losses at the Olympic Qualification in Latvia. It must be hard for her to accept defeats on the ice after so much success in taekwon-do. “Actually, hockey is relaxing for me. It’s a great pleasure to play this exciting game and to know that you can count on your teammates. In taekwon-do you’re alone and you suffer from every error that you make. I don’t like to lose, but I know the reality in Bulgarian women’s ice hockey. Most of the girls have started at age 17-18 and that’s too late for hockey. Now the top players have to train and prepare the next generations from very early age and then we’ll see a difference,” says Koleva, but she doesn’t think that she is quite good to be a hockey coach. Koleva is 160 cm tall and stands quite strong on her skates. When there is a physical contact, the opponent is falling on the ice almost every time. “It comes from inside of me. I have the flair for this stuff, how to approach these situations. Taekwon-do and hockey are contact sports, although in different aspects,” thinks Koleva. Body-checking is not allowed in women’s hockey, but sometimes she can’t resist the temptation and then has to sit in the penalty box. Koleva still has the motivation to practise two sports (taekwon-do at ABC Fight Club and hockey at NSA) and is joking that she even has free time: “The stress on the body is different, the time of the practices and the competition period too, so I can combine the sports. There are days in which I have to work with the kids and to practise taekwon-do or ice hockey, but one day a week I have all three commitments. During the weekend I’m working at an artificial ice rink in the mall.” For some time Monday was sort of her off-day with only one taekwon-do practice. The Bulgarian national women’s team flew to Taipei City yesterday and the main focus is to stop the streak of seven straight defeats in the IIHF Ice Hockey Women’s World Championship program. The last win dates back to 21st March 2014 – 4-2 against Hong Kong. “Our best chance is the first game on Monday against the hosts as they are making their debut. Hong Kong already had two games in the Olympic Qualification this season and we didn’t participate, so they are ahead in the preparation for sure. We had some good moments against them and South Africa last year, but lost both games. I hope that it will be closer this time around,” said Koleva before leaving for her first trip to Chinese Taipei. A new international standard ice rink opened in School No. 6 in Sukhbaatar District on November 30. The Mongolian Ice Hockey Federation and Sukhbaatar District administration built the ice rink to develop winter sports in Mongolia. The new ice rink cost 240 million MNT to build. Winter sports athletes will be able to train in ice hockey, figure skating and short track skating on the new ice rink. Ulaanbaatar has several outdoor ice rinks, and only one indoor ice rink in Hunnu Mall. Winter sports have been developing fast in Mongolia in recent years. 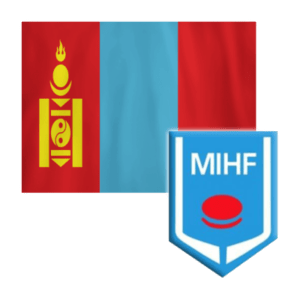 For example, the Mongolian ice hockey team won a bronze medal at the Ice Hockey Challenge Cup of Asia, which was held in Abu Dhabi, United Arab Emirates in March 2016. Mongolia won four bronze medals at the Asian Challenge Cup, and Mongolian athletes have been competing in the World Bandy Championship and international skating tournaments regularly.